The love of the countryside has always belonged to Matteucci family that has always lived in the Sienese countryside and in 1980 purchased the property with the intent to return to its former glory the abandoned medieval village. The architects have made a real architectural masterpiece and after about 20 years old Villa a Tolli came back to life and his destiny was to become a beautiful village. 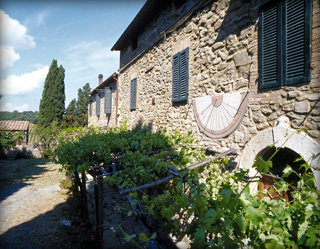 The family Matteucci devotes great attention to making the village a memorable place for guests and for each event and offer quality products such as wine and oil of the place.